Jan-Lennard Struff's racquet - What racquet does Struff use? Jan-Lennard Struff is a German player with a big serve and some powerful weapons from the back of the court. Still, he has not really had any massive results yet. One of his biggest wins so far came in Indian Wells last week when he beat Alexander Zverev. But what is Jan-Lennard Struff’s racquet? 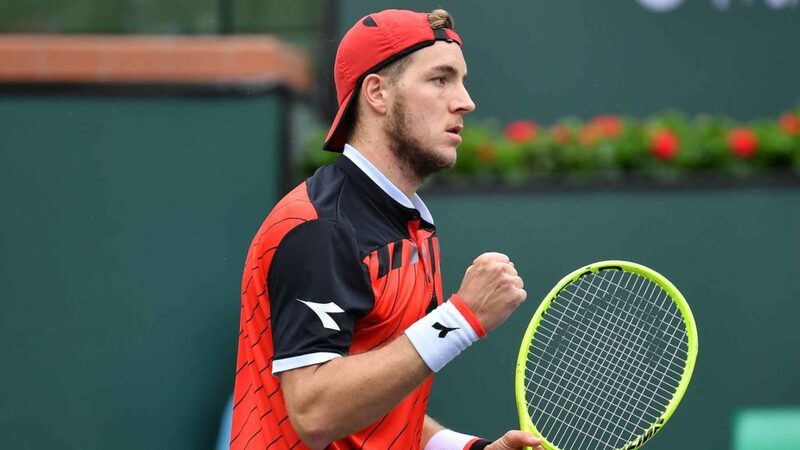 Jan-Lennard Struff is ranked in the top 50 and a solid performer on the ATP Tour. He has also had some success in doubles with a couple of titles to his name. His biggest win prior to defeating Zverev came against Stan Wawrinka in 2016 so he definitely has the game to worry top opponents. 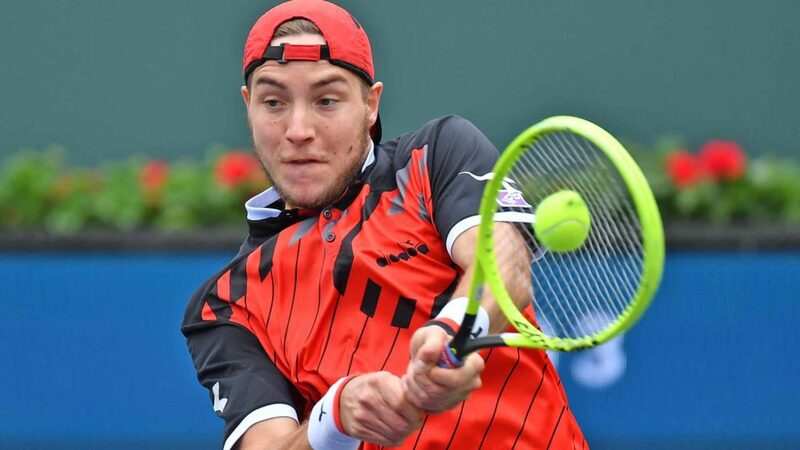 He has been using a Babolat Pure Drive for most of his career, but in Indian Wells, he took the court with something that looks like the HEAD Graphene 360 Extreme Pro (or MP). But what is really Jan-Lennard Struff’s racquet? **If you want to know more about the HEAD Graphene 360 Extreme Pro, click here to read or watch my review. **You can buy the HEAD Graphene 360 Extreme Pro on Amazon (affiliate link) or other tennis retailers. 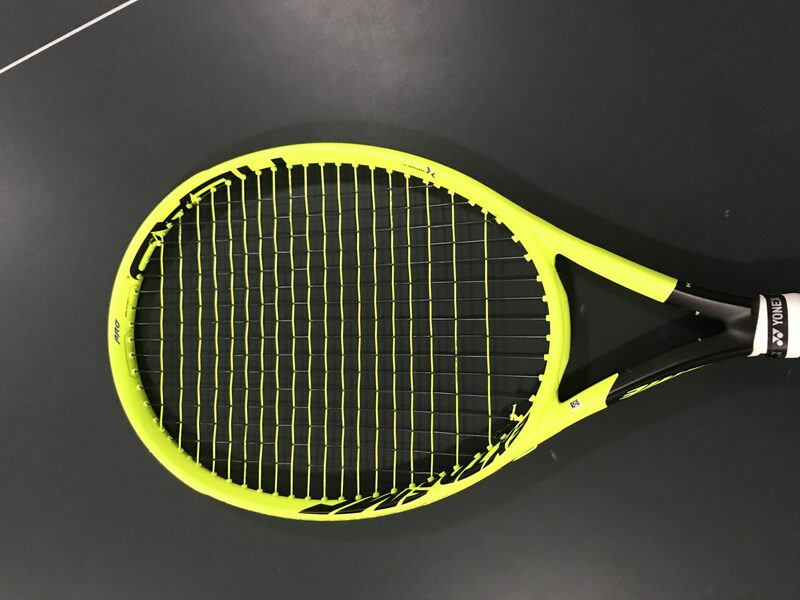 Jan Lennard Struff’s Racquet – Is it really the HEAD Graphene 360 Extreme Pro/MP? Well, this is the big question as usual. What Jan-Lennard Struff’s racquet is painted as and what it really is could be two entirely different things. For you who are new to this, this is what is called a pro stock racquet and a paint job. if you carefully study the frame, you might be able to pick up on a few things: the string pattern is different from the commercial model, the beam width, the head shape, etc. 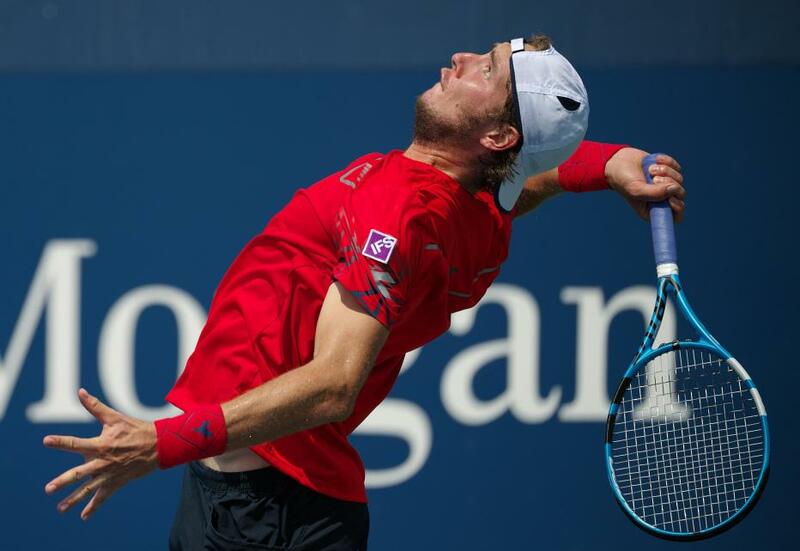 In the case of Jan Lennard Struff’s racquet, it is hard to say what it really is just from looking at pictures. What is a pro stock racquet? Back to Jan-Lennard Struff’s racquet. It is interesting to compare his old racquet to his current racquet and I add in the HEAD Graphene 360 Extreme Pro I tested as well to see if you can find any differences based on these pictures. To me, it actually looks like he might be using a pro stock version of the actual Graphene 360 Extreme Pro or MP which would have the HEAD Pro stock code: TGT333.1. Click here if you want to know more about HEAD pro stock codes. 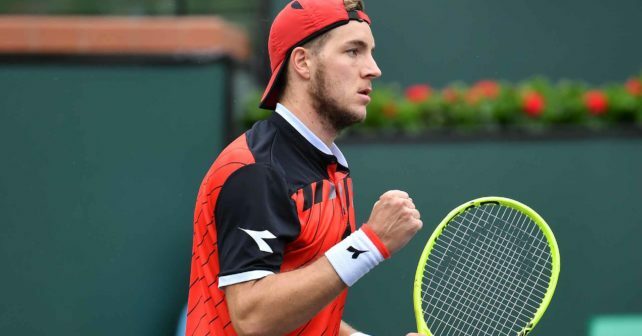 So for now, we can’t really know what racquet Jan-Lennard Struff is using, but no matter what, his change from Babolat to HEAD seems to have worked for him considering his nice run in Indian Wells. The question is now if he can keep the positive momentum up and achieve good results also in the rest of the year. The game is there, but in tennis, it all needs to come together at the right moment of course. If you want to know more about Jan-Lennard Struff, check out his official website here.